In our state-of-the-art auto body repair facility in Commerce Twp., MI, Munro Collision has the latest frame machine, leading-edge technology, tools and the expert staff who know how to use them. Bring your "baby" in for our computer paint matching and mixing system, plus the latest spray booth with durable baking system. All of our work is warranted. All of our technicians are licensed experts who take continuing education in the latest structural and safety developments. The latest frame rack system. 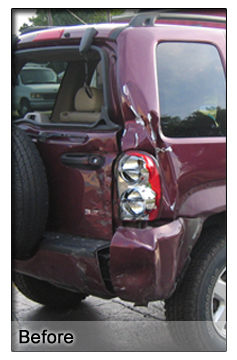 Body work by trained technicians. 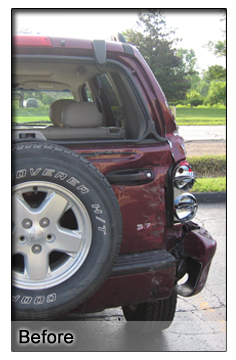 Move your mouse over the picture to see the repaired vehicle!